Have an emergency? We’re here to help. 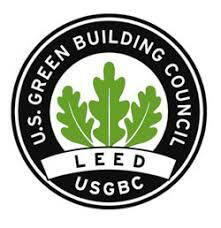 To meet LEED goals, it is important to hire LEED-accredited professionals with demonstrated knowledge of green building and the LEED rating system and process. Pot-O-Gold has performed on more than 50 LEED-certified projects and has the distinction of being the first privately owned Louisiana waste company to become a member of the U.S. Green Building Council. Pot-O-Gold’s team will suggest ways to earn LEED credits without extra disposal cost and help offset expenses by identifying appropriate waste recycling streams. Pot-O-Gold will coordinate recycling efforts between you and the recycling facility, and assist you with all waste-related documentation and LEED reporting needed to get your project recognized by the U.S. Green Building Council.